After making a couple of static websites, you will start seeing developers talk about a CMS. This is also referred to a content management system. 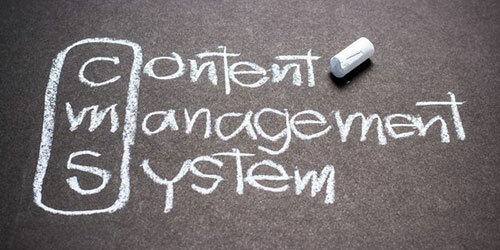 You might ask yourself what is a content management system? What it sounds like is exactly what it does, it helps you manage your content on your website. It gives you a user-friendly application that you can use to write and edit content on your website. CMS have taken a hold of the internet with the movement of Web 2.0 and some of you might be using one and you might not know it. A CMS not only makes it easier to manage your website's content. It can help you update the website's software, security patches, and install additional features. All of this can be done with knowing little web development. If you have multiple authors or contributors on your website. A CMS can help you manage those users. Giving them certain permissions can ensure you they can only access what you give them. This can also be useful to have their posts wait for your approval before going live to your visitors. Not only can you control what content is being published on your website. One of the best features that come with content management systems is a WYSIWYG text editor. This is also known as a What You See is What You Get editor. For those that used one of these, think about having a small Microsoft Word editor on your website. Why do you want this? If you don't know how to code in HTML this will help you make editorial changes to your posts. Such as making headers, bolding, italics, or changing color of your font. You can do this with a WYSIWYG editor with a press of a button. This also give you peace of mind if your other contributors don't have any web programming experience. The backend of a CMS system stores your content in databases instead of static code pages. This is a huge advantage when you are thinking more advanced features. Such as modules that will pull your most popular posts, featured posts, and commenting. These are some of the most common features that you see on blogs that are often built with CMS. Having your information stored in a database gives you more flexibility with web design. Instead of making the same changes multiple times through static coding pages. You now only need to change one template file and it will reflex across your site as a whole. This will save you huge amounts of time and easier to make changes. There are many free open source CMS that you can install on your server. Some of the most common ones are being used are Wordpress, Drupal and Blogspot. When you get down to the basic functionality, all of these do the same thing. You can add content, it will store it in a database and dynamically pull it to your site. What you will notice that they all have a different workflow. Some are easier than others and other different additional features. Wordpress has the cleanest backend for usability. Drupal has the most flexibility for design and development. Blogger is a web based platform service that is hosted on a third party server. With Blogger this also means if you violate any of their policies they can delete your site. A content management system isn't for every situation. If you are planning on a site with more than ten pages, you will want to consider a content management system. It will make managing your site easier and more efficient down the road. Not only will things be easier but you open the doors of other features that can be implemented into your CMS. One advance is to try multiple platforms and see which one you like the best. Because once you get one established it's not an easy task to merge over to a different one.